Because Jersey has such great tides the distance on the beach between low tide and high tide can be quite great. 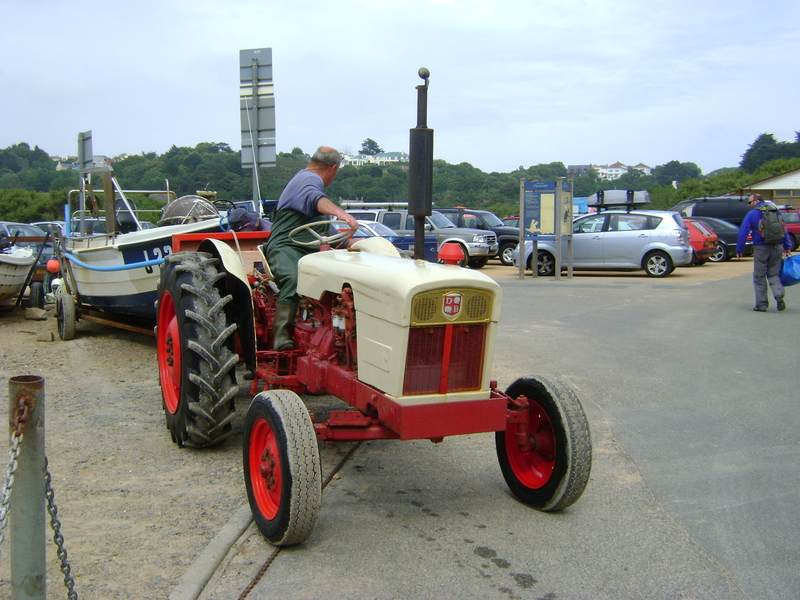 The local fishermen use tractors to haul their boats across the beach. 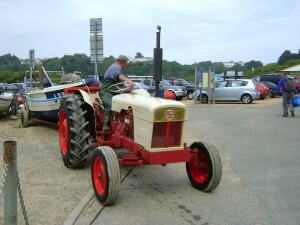 These are often lovely old beasts lovingly and often brightly painted. Richard Stokes. Childhood spent in Milford-on-Sea. Now lives in West Bay Bridport (recent move)Educated in Art Schools - Winchester, Birmingham and Portsmouth. Worked as art administrator: Ikon Gallery, Birmingham; Midland Group, Nottingham; West Midlands Arts, Birmingham; Gateshead Garden Festival; Arts Council; Minories Art Gallery, Colchester; West Midland Arts. Also involved with the former Limpets Restaurant. Keen sailor. 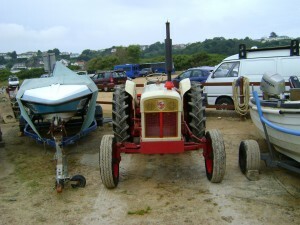 This entry was posted in Tractors. Bookmark the permalink.